UPDATED: Tue., Jan. 15, 2019, 7:32 p.m. The Fulchers were married for nearly 32 years and have three grown children. According to the Aug. 8 filing in 4th District Court by Kara Fulcher, they were married March 21, 1987. The divorce case file was not sealed. “The people who were involved with it made sure it didn’t get out, I guess,” LiCalzi said. Fulcher, 56, holds a master’s degree in business administration from Boise State University and had a 24-year high-tech career with Micron Technology and Preco Electronics before going to work in commercial real estate. He served 10 years in the state Senate and ran unsuccessfully for governor in the 2014 Republican primary as a tea party favorite. 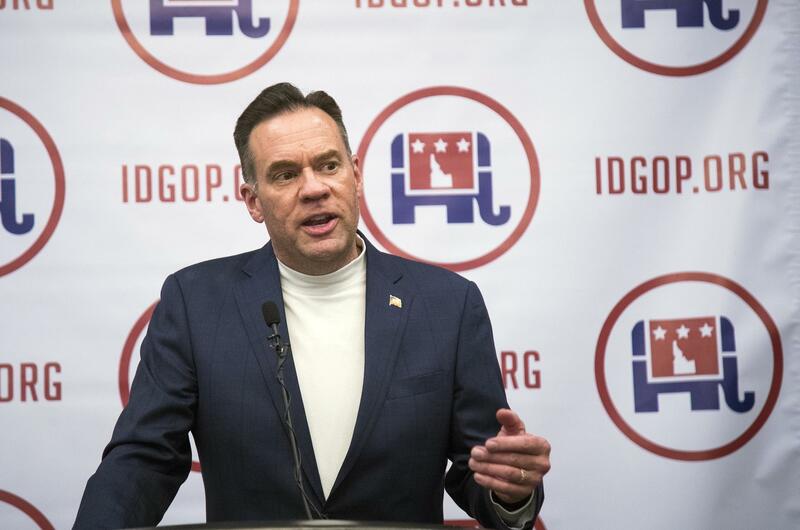 Fulcher filed to run for governor again this year, but after then-1st District Rep. Raul Labrador also filed in that race, Fulcher eventually agreed to bow out and run for the 1st District congressional seat, with Labrador’s endorsement. Labrador lost to Brad Little in the May GOP primary for governor. Fulcher built his career in the Idaho Senate as an unwavering but amiable conservative; he was a frequent sponsor of anti-abortion legislation. He served two years as the Idaho Senate’s majority caucus chairman. Fulcher’s slogan in his congressional campaign was “Conservative for Congress.” He outraised his opponents in both the primary and general elections and received a big boost from the Club for Growth, a national anti-tax and anti-regulation group that poured more money into independent ads on Fulcher’s behalf in the primary than any other candidate spent on their own campaign. The Club for Growth also bankrolled former GOP Rep. Bill Sali’s run for the same seat in 2006, when Sali won a hotly contested, six-way GOP primary race with just 25.8 percent of the vote. Sali served a single term before losing in 2008 to Democrat Walt Minnick. Russ Fulcher also agreed to pay all medical bills stemming from his motorcycle accident. Published: Jan. 15, 2019, 9:04 a.m. Updated: Jan. 15, 2019, 7:32 p.m.